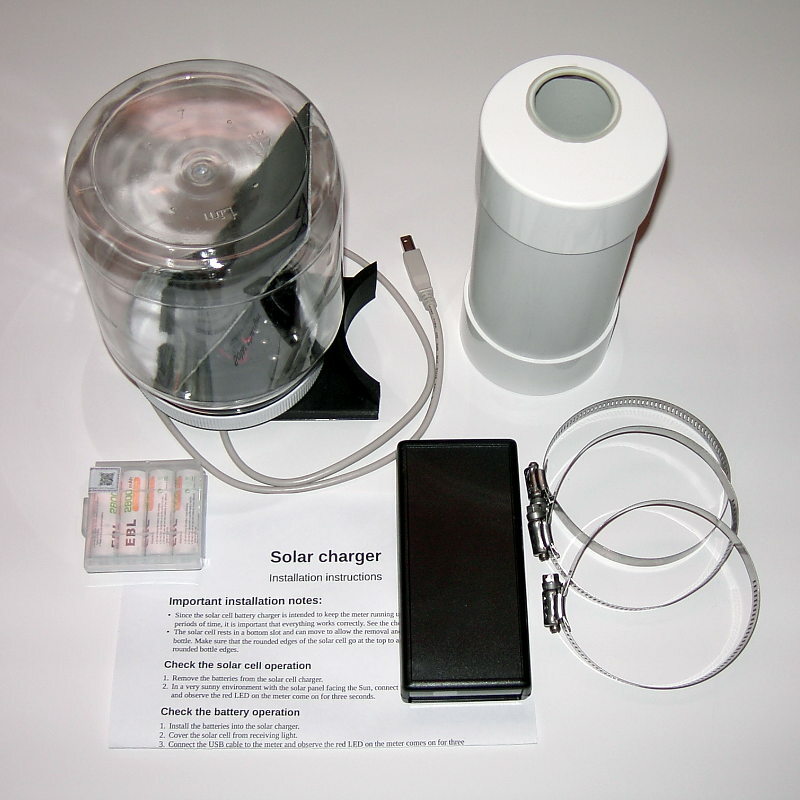 Showing the solar charger kit connected to an SQM-LU-DL mounted in our standard housing (SQM-H), and a partially hidden tube in the back is for a separate SQM-LE. 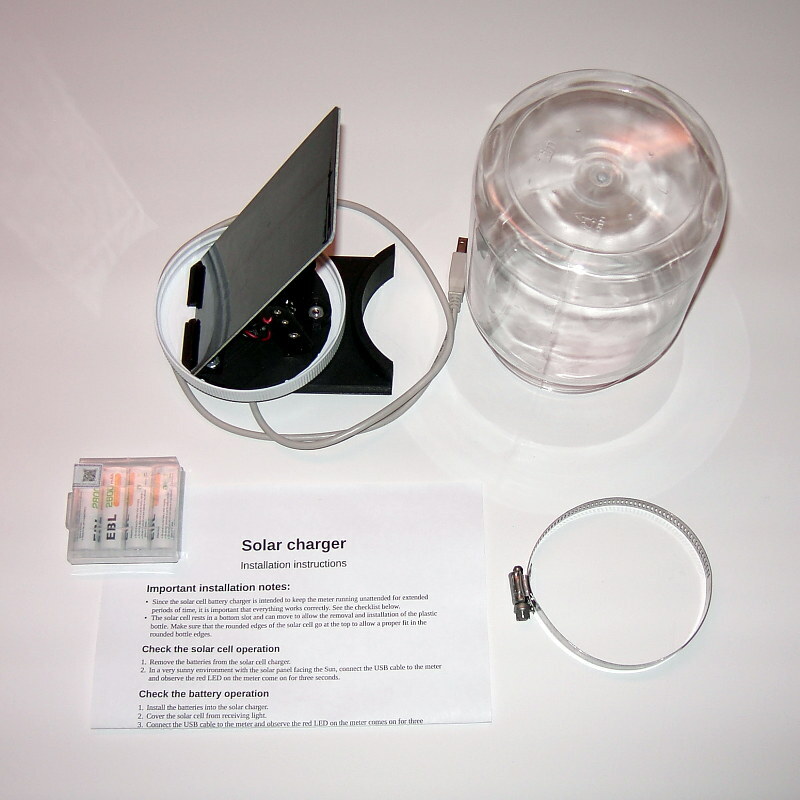 Data set with solar charger attached. 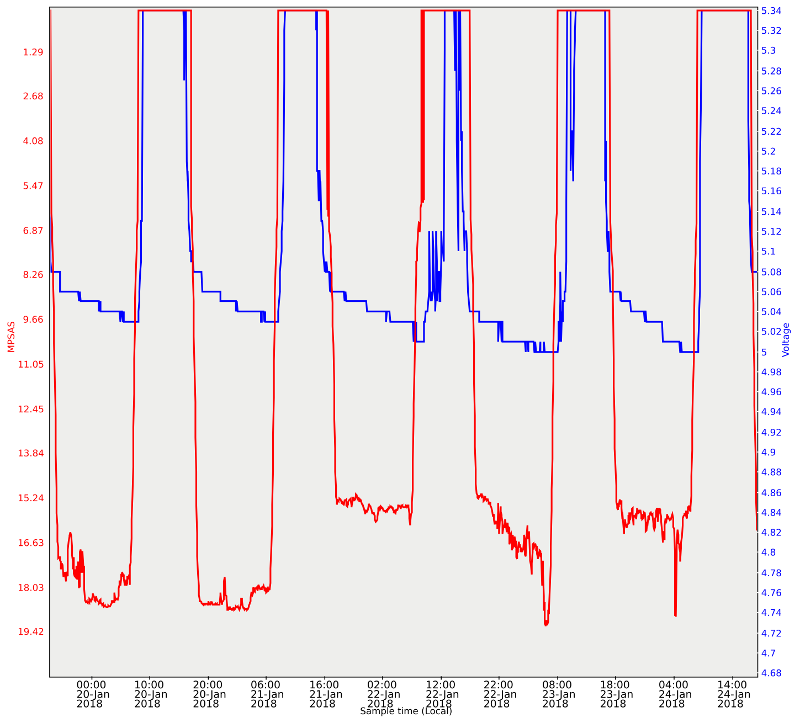 Check out the plot with our UDM software. 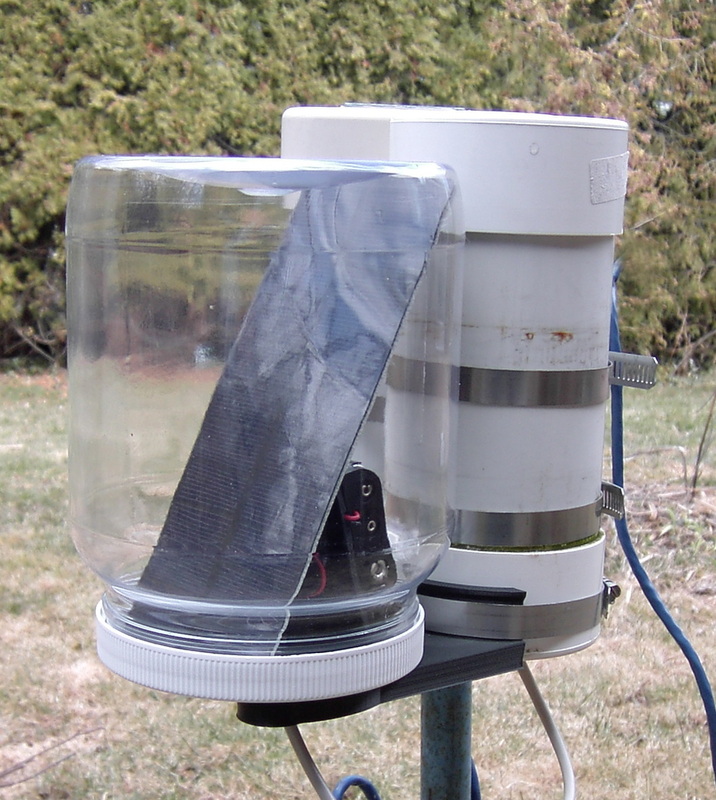 This unit mounts to the sunny side of the SQM-H housing and charges up the 4xAA NiMH batteries (included) so that the SQM-LU-DL can operate throughout the nighttime. It replaces the original SQM-LU-DL battery pack. The clear plastic bottle keeps rain and snow from the inside. The smooth round shape reduces the possibility that a passing creature or person will catch on it. A drainage hole in the bottom allows accumulated moisture to escape. An open-cell foam insert prevents insects from crawling up inside the container. Even cloudy days provide sufficient charging to keep the batteries topped up. 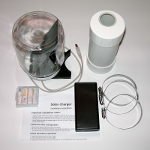 At one reading every five minutes, the SQM-LU-DL can hold almost a year's worth of readings without changing batteries. Clear plastic bottle to protect the charging circuit from the elements. Solar panel with battery charging circuit with attached 32" (81cm) USB cable to connect to SQM-LU-DL. 4-AA NiMH batteries (manufacturer may vary). Stainless steel clamp to mount to existing SQM-H housing. Price $90US plus Shipping & Handling. Stainless steel clamp to mount to the included SQM-H housing. USB 2.0 A to B cable, 1ft length, data cable for programming and data retrieval. No SQM-LU-DL users manual, you can get the manual online here. Price $366.28US plus Shipping & Handling.